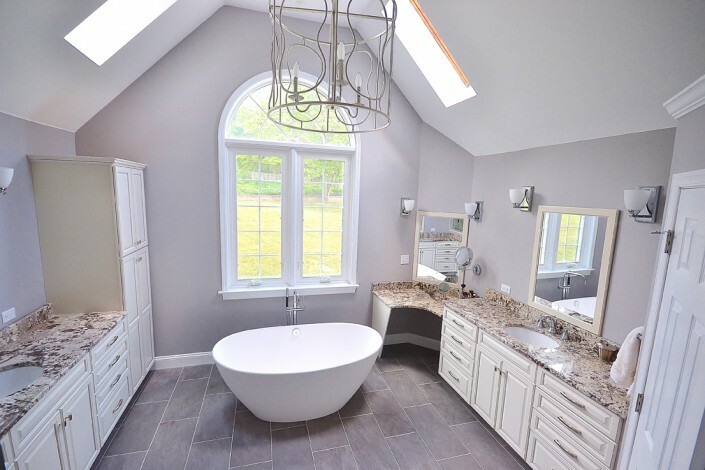 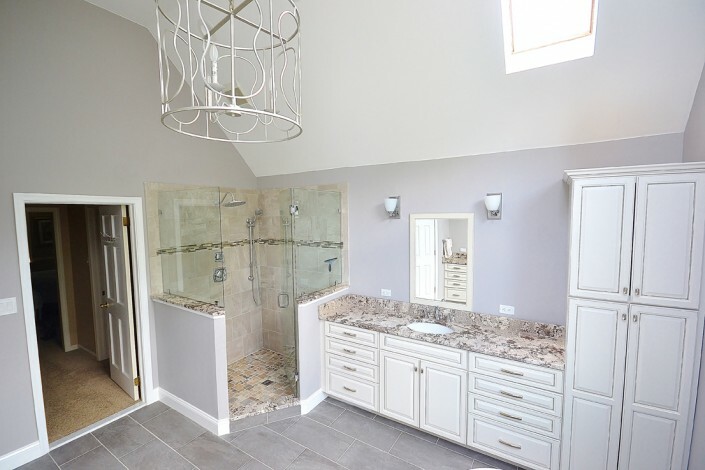 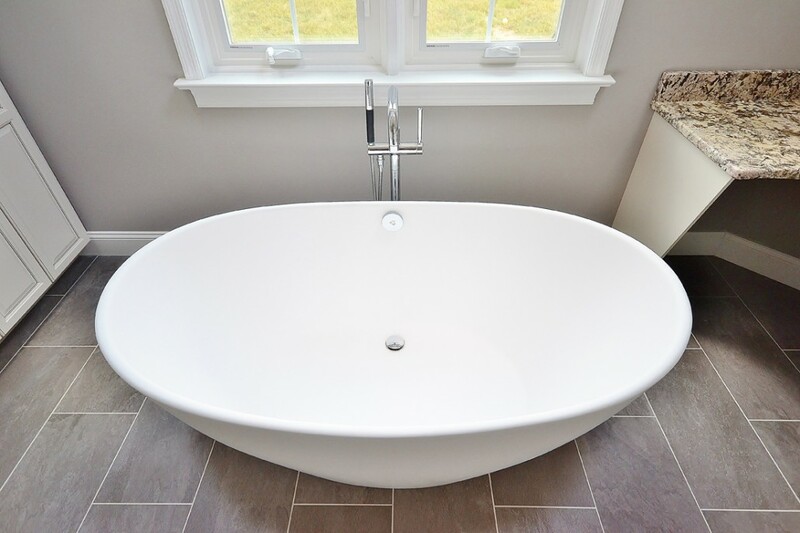 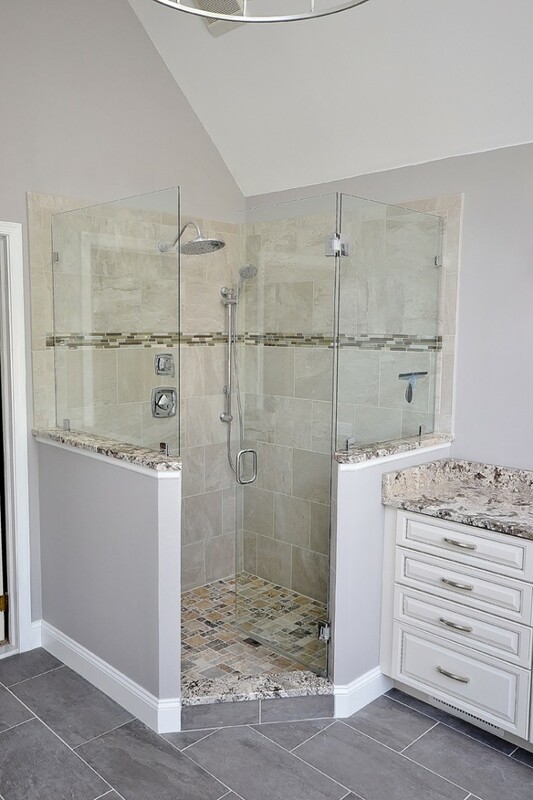 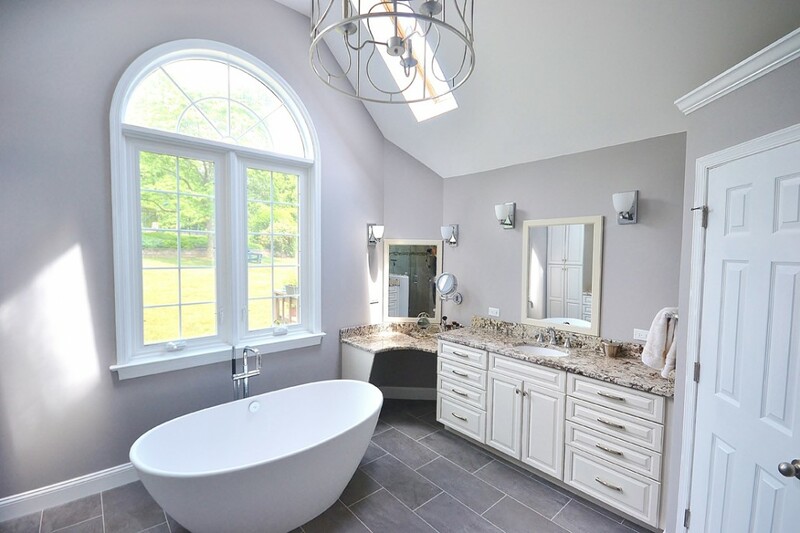 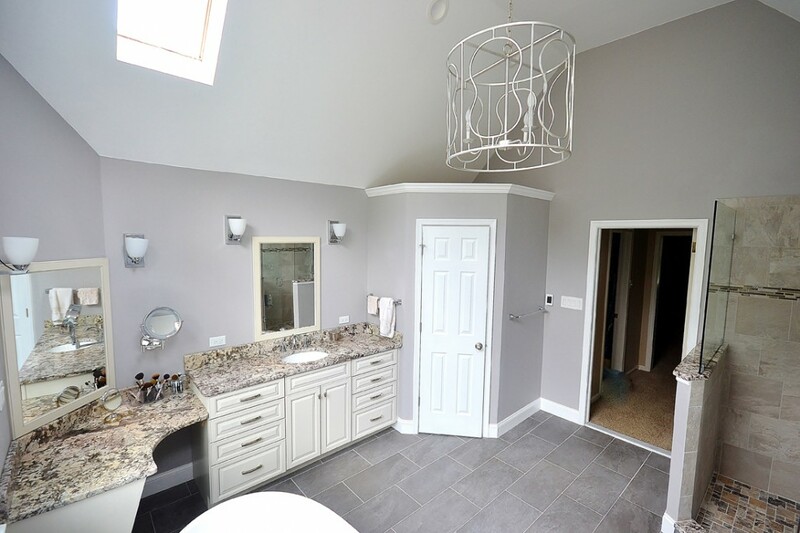 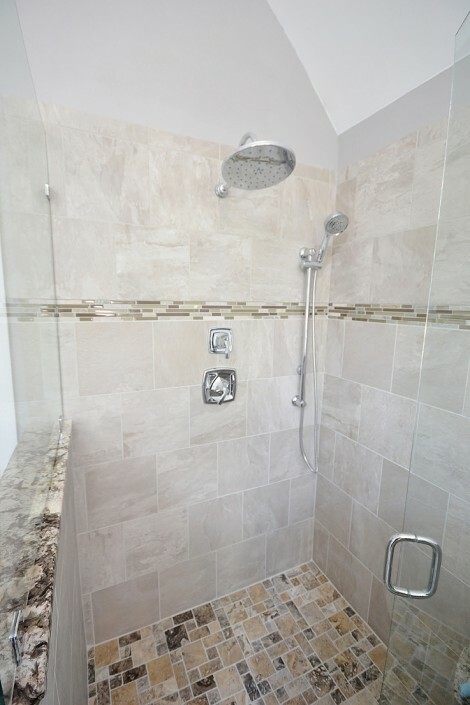 Gorgeous bathroom remodel. 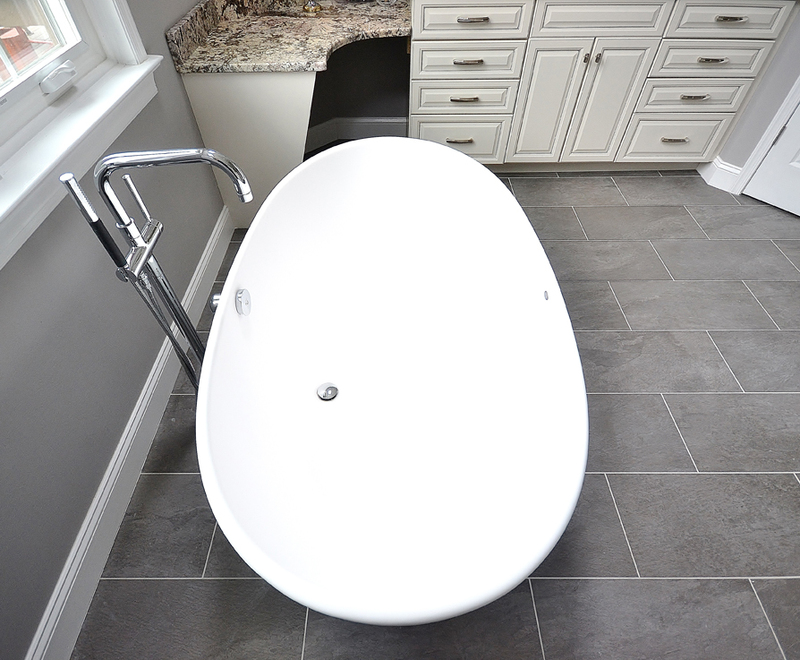 Designing a bathroom retreat within budget and scope is fun! 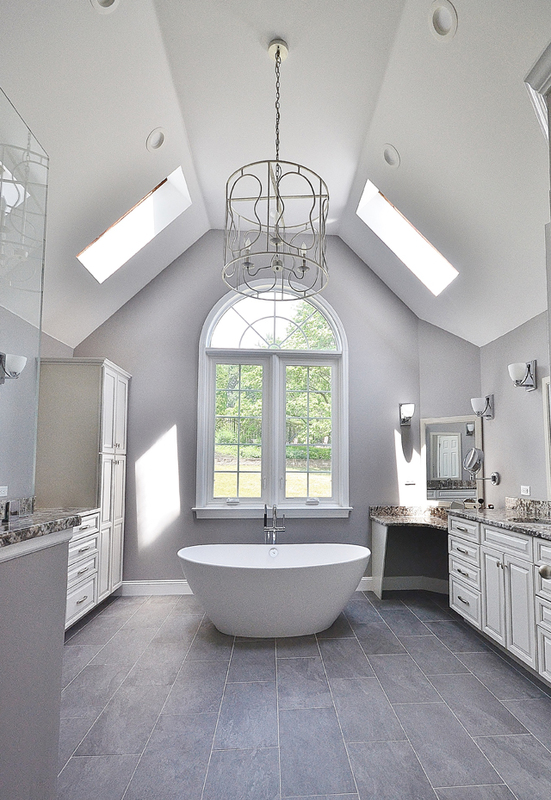 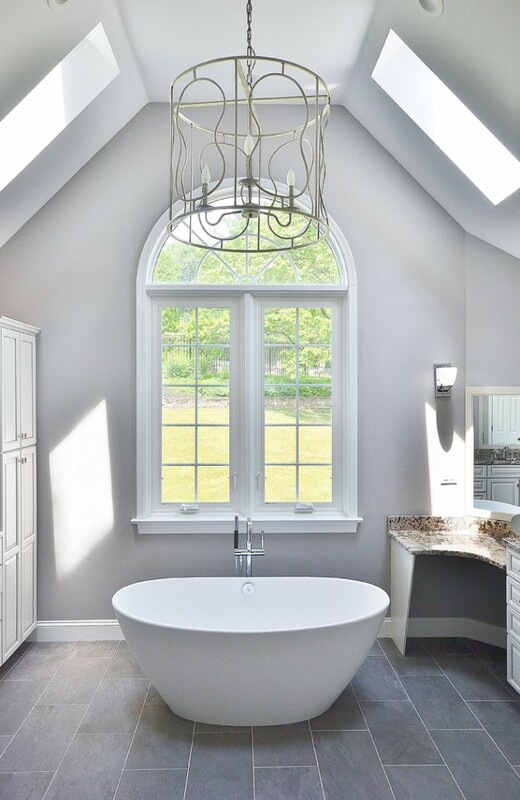 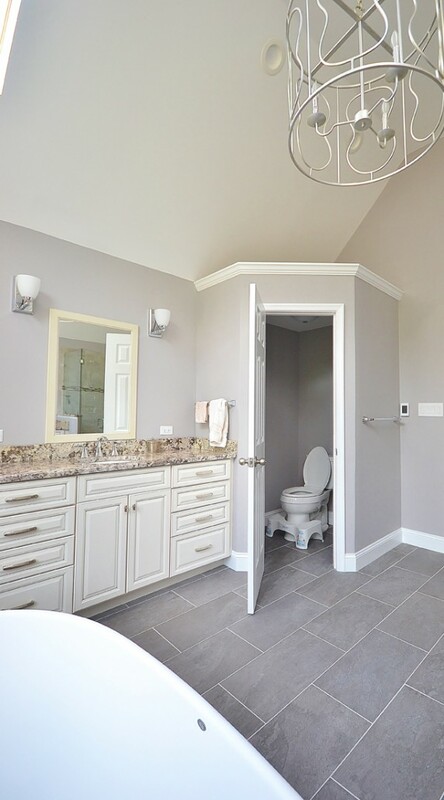 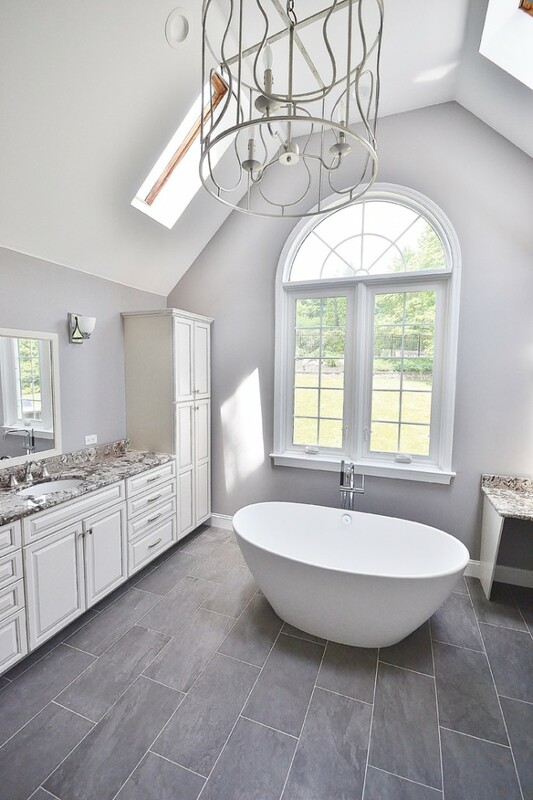 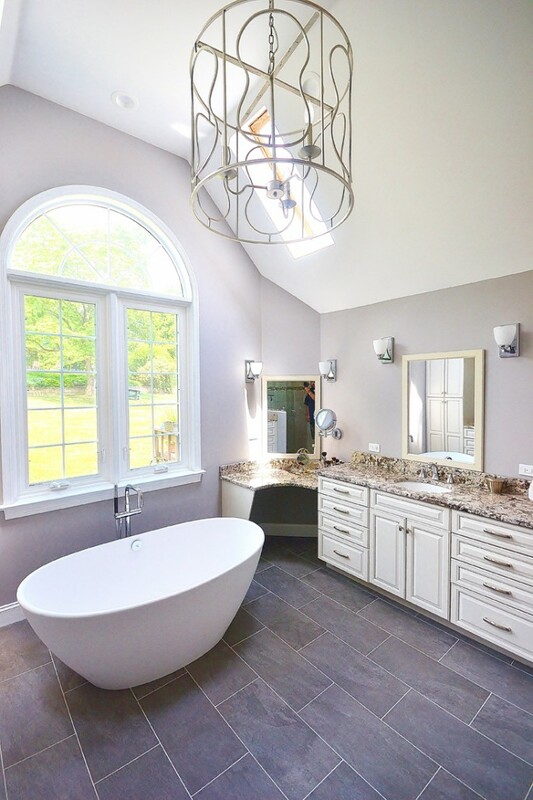 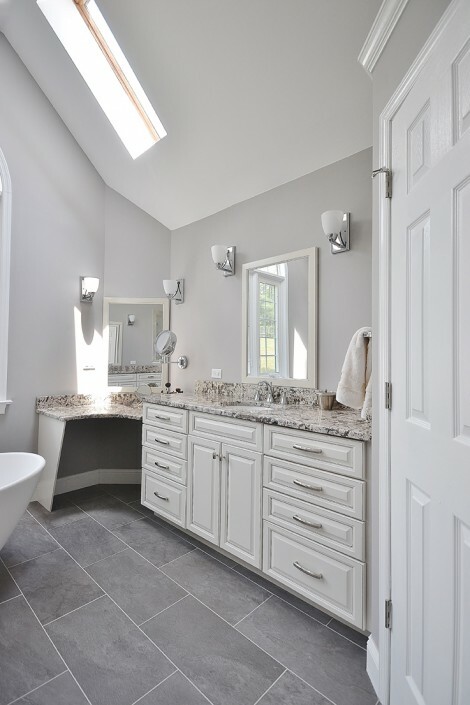 Warm, inviting light transforms this freestanding large master bathroom suite into a retreat. 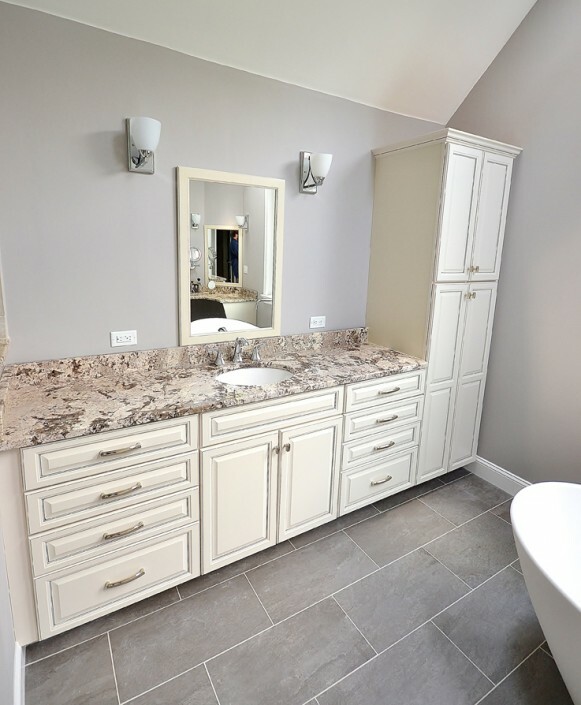 Lovely Echelon Cabinetry in Linen with Pewter glaze. 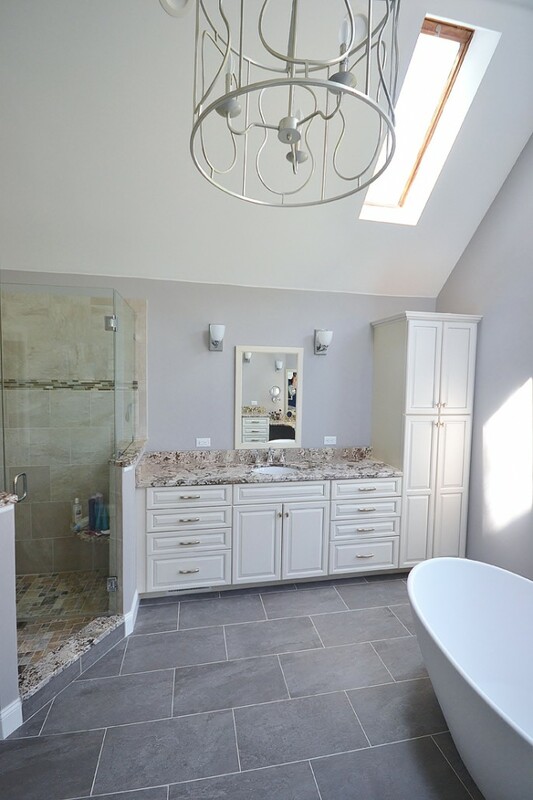 Beautiful granite in Bianco Antico. 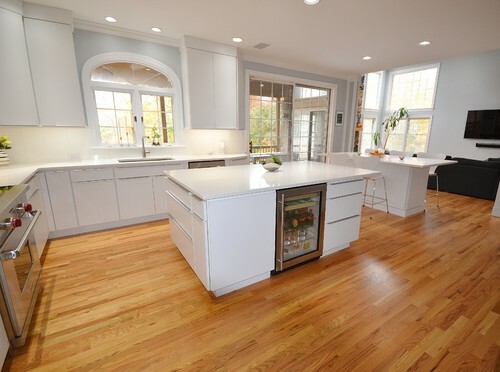 Radiant floor heating.